Senior columnist for the Israeli newspaper Haaretz, Ari Shavit, has written that the 20th century was ?the most dramatic century in the dramatic history of the Jews. In its first half, we lost a third of our people. But the second half of the century was miraculous. In North America, we created the perfect diaspora, while in the land of Israel we established modern Jewish sovereignty. The Jews of the 21st century have today what their great-grandparents could only dream of: equality, freedom, prosperity, dignity. The persecuted people are now emancipated. The pitiful people are now proud and independent . . . [Israel] is the demography of hope: an almost extinguished people renewing itself.? Shavit also documents the staggering success of the Zionist movement in Israel: ?In 1897, approximately 50,000 Jews lived here. Now the Jewish population exceeds six million . . . In 1897, Jews living in Palestine represented only 0.4 percent of world Jewry. In 1950 we accounted for 10.6 percent. In 1980, 25.6 percent. Now we make up almost 45 percent. The historic project that aimed to congregate most of the world?s Jews in the Promised Land has had mind-boggling success. Today, the Jewish community in Israel is one of the two largest in the world. Given current trends, by 2025 the majority of the world?s Jews will be Israelis.? How do we explain this?Jews once again in their Promised Land? It was certainly the vision of Theodore Herzl and the Zionist movement to transfer people from one continent where they were being persecuted, almost extinguished, to their ancient homeland. And it was their goal to reestablish the state of Israel with its revived language of Hebrew?all in the land of their forefathers. There is a supernatural explanation for the miracle called Israel. It is God fulfilling His promises first detailed in the Abrahamic covenant and reiterated continuously throughout both the major and minor prophets of the Old Testament. The birth of the modern nation-state of Israel is not only an event of history; it is the fulfillment of prophecy. Ezekiel 36:16-38 is one the most important passages in Scripture envisaging the restoration of the Jewish people to their land. As this event is accomplished, Ezekiel exclaimed, the nations will be silent in their amazement of what God has done (vv. 33-36). I believe quite strongly that in the 21st century we are witnessing that restoration. But the other dimension of Ezekiel?s prophetic claim is the spiritual restoration of the Jews. That is detailed in Ezekiel 36:22-32 and 37:15-28. God will put His Spirit in them; they will obey Him; and they will walk with Him forever. The fulfillment of God?s covenantal promises to Abraham (land, seed and blessing), to David (an eternal throne, kingdom and dynasty) and the New Covenant of spiritual renewal are foretold in 37:24-28. The Jewish people will be united as one people, secure in the land God promised them, renewed spiritually and with their Davidic King ruling in their midst. We await that fulfillment. The part of modern Israel from Haifa to Tel Aviv has been called the Silicon Valley of the Middle East. Some of the most innovative technology dealing with computers, smart phones, digital technology and cyber-expertise in the world is centered in this area. But Israel is turning a part of the Negev Desert into a cyber-city! Israel seeks to turn the area around Beersheba into a purposeful integration of private, scholarly, government and military cyber-expertise. In terms of global private investment into cyber-security firms, Israel is second only to the United States, with half a billion dollars annually flowing into this sector. This Jewish state is also at the cutting edge of cyberoffense, developing stealthy computer weapons to penetrate its enemies’ networks. Eviatar Matania, head of the National Cyber Board in Israel argues that such an effort is necessary in Israel. ?Frist, we have more enemies than others. We understand that the cyberthreat is here and now. Second, a lot of Israel?s high-tech and innovation culture is in cyber. This is where we can gain an advantage over other countries in defending ourselves. And thus, we see cyber not just as a threat to mitigate, but also as one of our economic engines.? The security of the state of Israel is central to the survival of the state. To that end, every citizen (men and women alike) is required after high school to serve a term of military service. (The only exceptions are ultra-Orthodox Jews and the Arab population.) Ellen Nakashima and William Booth report that ?The cream of the computer science and math crop are scouted by the elite military cyber units when they are as young as 14.? Nadav Zafrir, former head of Israel?s Unit 8200, the nation?s secret elite cyberattack branch, argues that ?If you ask me what?s the biggest secret of the Israeli high-tech system, it?s the military?s ability to look at people when they are in high school.? Israel is already growing its next generation of warriors to populate the cyber-infrastructure it is building in Beersheba. Military cyber-officers are mentoring students at four Israeli high schools that have advanced courses in math and computer science. The two-year old program has more than 800 students. The security of Israel is so central to survival of the state and Shin Bet, Israel?s security agency, is working closely with the army?s Unit 8200 and the National Cyber Security Authority to not only thwart physical terrorist attacks, but also to protect 30 or so critical entities from cyberattacks: ?The list was drawn up by Israel?s parliament and includes the Bank of Israel, oil refineries and the blood bank. This is the equivalent of the FBI regulating major US businesses or private entities for cybersecurity?an authority that would alarm American companies and civil libertarians and could not secure support in Congress.? No matter how you look at it, the nation state of Israel is a miracle. It is a democratic, technologically sophisticated oasis in a region of war, bloodshed and destruction. But it is committed to its survival and will go to any end to guarantee that. 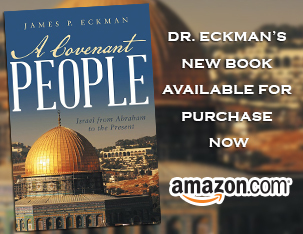 For a nation of 8 million people, Israel evidences the fulfillment of God?s plan to restore the Jewish people to their land and fulfill His covenant promises to them.